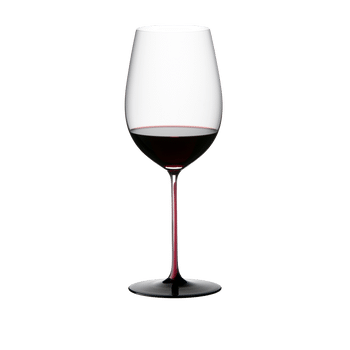 The unadorned handmade Burgundy Grand Cru glass of the beautiful glass collection Sommeliers Black Series is charactarised by a red stem and a black base. The larger bowl allows the bouquet to develop to the full, while slightly flared top lip maximizes the fruit flavors by directing a precise flow onto the front palate. Sommeliers Black Series can be used as a drinking vessel but is primary considered as an object of beauty gracing the homes of wine collectors. All RIEDEL glasses are dishwasher safe.